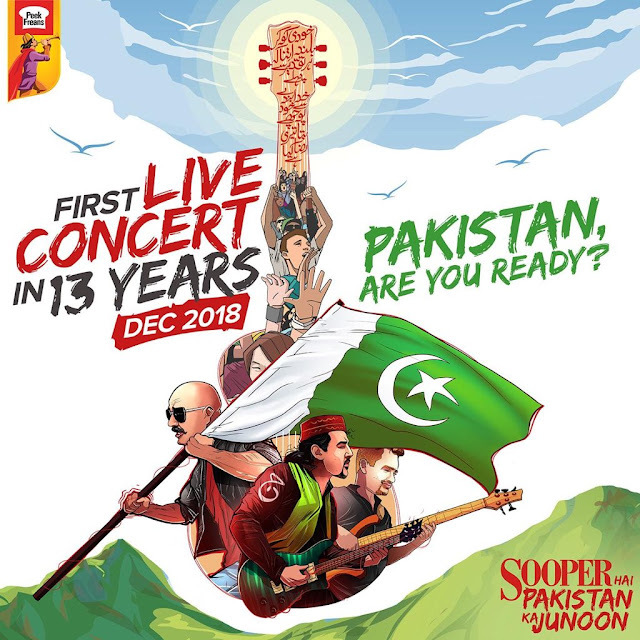 Sooper Hai Pakistan Ka Junoon is back - live concert in Karachi 25th, December 2018: 500 musicians gathered to entertain their Sooper Junoon. Live concert Venue in Airmen Golf Club, Karachi. Pakistani Fans are very excited to see his stars in Karachi. Junoon decided to perform live after 13 years. Fans are very excited to attend this Sooper Junoon concert. 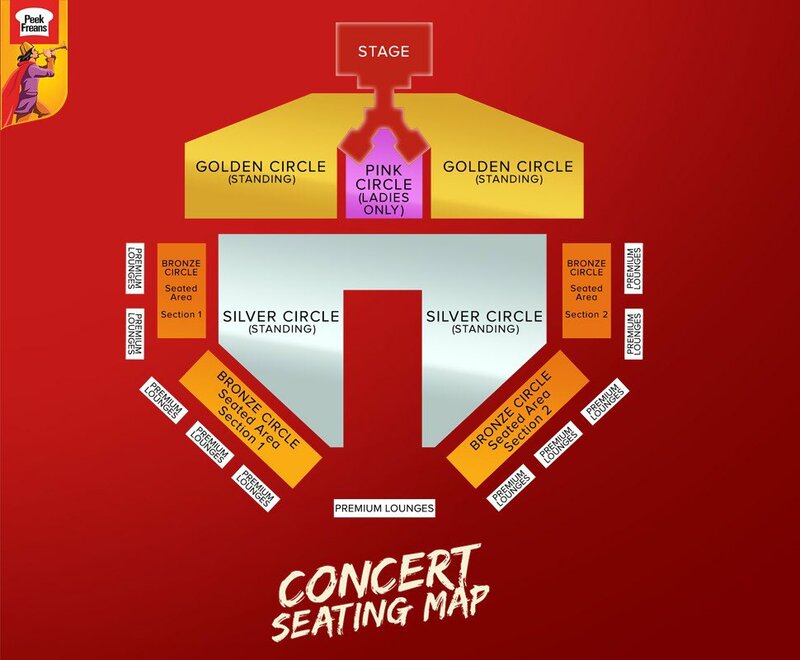 You don’t need to go anywhere to buy ticket simple go the website go through the hassle of getting in long queues for the ticket as it can easily be bought from Yayvo. yayvo.com provide an opportunity to Junoon Live Concert Ticket. Click Here for buying a ticket online yayvo.com/sooperjunoon. Karachi, 12th November 2018] Peek Freans Sooper is bringing the legendary Sufi Rock band Junoon back once again but this time in a live concert that is slated to be held this December to give an exciting new chapter to “Sooper Hai Pakistan Ka Junoon. This year will be ending on a high note in terms of music. Junoon will be together once again for a mega concert. The music fraternity got together to welcome the legends of Sufi rock LIVE come back after 13 years. Junoon is coming live and looks at our Junoon skyrocketing to announce that. 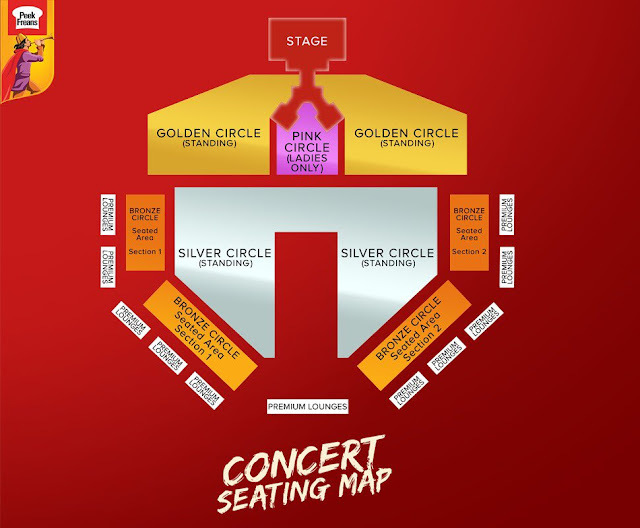 Here is the seating plan for this concert. You can get help with seating arrangements. This is gonna be huge. Be sure to attend this massive show on 25th December. At this time tickets are available in only Rs. 3000. Looks like Sooper Hai Pakistan Ka Junoon is such a cool and fun party to be at. How can you not want to be a part of this? Just a bunch of people chilling, singing and having a good time. End 2018 the right way by jamming to your favorite old songs with Junoon, and your loved ones. Make it a night to remember. 500 musicians gathered to unleash their Sooper Junoon.